A hammertoe is a contracture of the lesser toe joints. It normally occurs on the 2nd, 3rd, 4th or even the 5th toes. The 5th toe may also be rotated and drift under the 4th digit. In a hammertoe, the toe will appear “hammered” when the 1st and second joints within the same toe are both contracted or bent. In certain cases that toe is only bent at the second joint within the toe. This is known as a claw toe. When a hammertoe occurs in the great toe, it is known as a mallet toe. These are all deformities of the toes that can create excess pressure at the joints when they rub against shoes. This pressure generates thick dead skin called corns on top of the joint. In some cases, a bursa may develop in place of the corn. 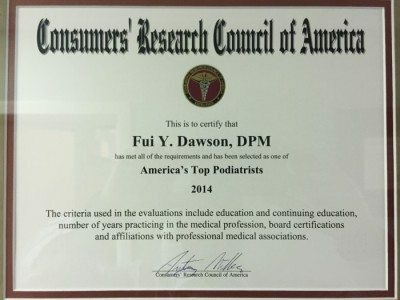 While hammertoes can cause pain and discomfort, the foot and ankle specialist here at the Advanced Foot and Ankle Institute of Georgia, can help alleviate the hammertoe pain. How Did I Get a Hammertoe? Hammertoes develop when the small muscles and tendons in the toes loose their function and becomes unstable. Certain tendons are either overpowered or destabilized by adjacent muscles or tendons in the toe and cause the deformity to occur. In addition, traumatic injuries, certain types of arthritides (such as rheumatoid arthritis), diabetic motor neuropathy can also cause severe hammertoes. While hammertoes may be mild and flexible, others may be severe and rigid. Surgical correction of the hammertoe may be indicated if conservative treatment fails. This surgery may involve reconstruction of the deformed toe to reduce the pain or discomfort as well as brighten the appearance of the toes.